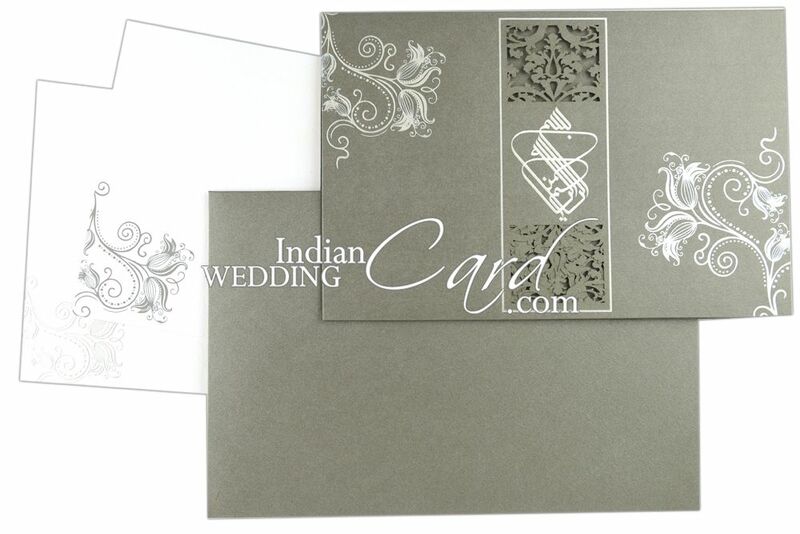 “Bismillah- Ir Rehman Ir Rahim” symbol with floral laser cut pattern adorns the front of card. 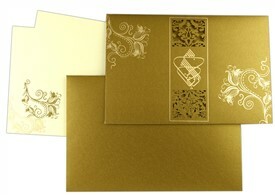 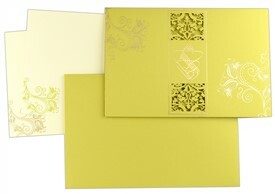 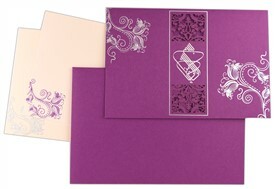 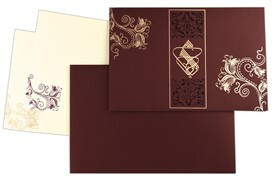 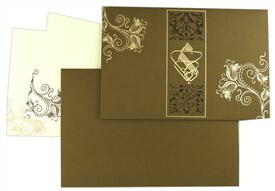 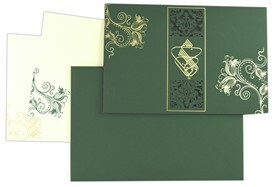 The main card and inserts are also beautified with tulip motif in silk screen printing. 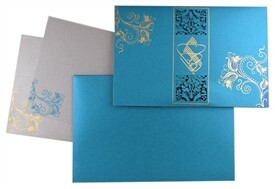 An exemplary Muslim wedding invitation! 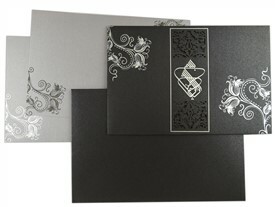 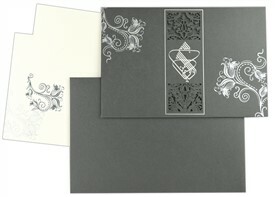 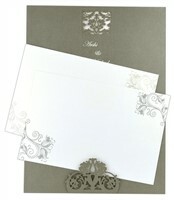 Grey shimmer paper (250 gsm) for main card and envelope. 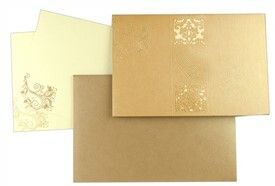 2 inserts of white shimmer paper (250 gsm).